Our goal is to connect people with the best local experts. We scored plumbers on more than 25 variables across five categories, and analysed the results to give you a hand-picked list of the best plumbers in Salt Lake City, UT. Ace Plumbing and Drain Cleaning provides 24-hour emergency plumbing services in the Salt Lake City area. Founded in 1987 in Riverton, the company repairs pipes, installs water filtration systems, and repairs sewer lines for homeowners, landlords, and housing developers. Ace Plumbing and Drain Cleaning is accredited by the Better Business Bureau. All Hours Plumbing serves residential and commercial customers in Salt Lake City with plumbing and HVAC services. The company has 24-hour emergency services available and cleans drains, repairs boilers, repairs water damage, and repairs and installs water heaters. The business also installs heating and air conditioning systems and installs furnaces. The business' employees give back to the local Habitat for Humanity. All Hours Plumbing & Drain provides 24-hour emergency repairs for Salt Lake City residents. The company, based in Sandy, installs and repairs water heaters, cleans drains, treats water, installs and replaces boilers, and repairs water softeners and filtration. The licensed, insured, and bonded company gives free second opinions on plumbing issues. Customers have left positive feedback for the business' quality service and knowledgeable, personable employees. ASAP Plumbing & Drain has served the Salt Lake City area for more than 18 years. The company, based in Sandy, cleans plumbing and drains, repairs plumbing fixtures, services water heaters and water lines, and repairs frozen pipes. The business can often provide same-day service. Customers have praised ASAP Plumbing & Drain for its trustworthy, talented, and helpful employees. Beehive Plumbing, based in West Valley City, is open 24 hours a day for customer support. The company earned Best of Thumbtack recognition in 2016 and specializes in drain cleaning, hydro jetting, new construction plumbing, leak repair, sewer pipe repair, and water main replacements for homes, offices, and apartments. Customers have praised the business for its timely work and quality customer service. Cavalier Plumbing has served the Salt Lake City area for more than 30 years. The business hires screened, background-checked, and licensed plumbers. Cavalier Plumbing serves homes and businesses with water heater repairs and replacements, sewer pipe cleaning and repair, and repiping. Customers have praised the business for its great customer service, quick responses, and fair prices. Friendly Plumber Heating & Air provides 24-hour emergency plumbing services in the Salt Lake City area. The company services water heaters, bathroom plumbing, drains, sewage pipes, and showers, and installs plumbing fixtures. The business also provides heating services such as furnace repair and heating system installations. Customers attest to the company's professional, friendly employees and their thorough work. Frontier Plumbing and Heating is a Salt Lake City company that serves homes and businesses. The company's team has more than 40 years of combined experience in the industry, and services water heaters, frozen and broken pipes, furnaces, and boilers. Frontier Plumbing and Heating is available 24 hours a day, seven days a week. The owner of HR Quality Plumbing has more than 43 years of experience in the plumbing industry. The company serves the Salt Lake City area with drain line inspections, sewer and drain cleaning, shower and tub services, water filtration systems, and remodeling. Customers have praised the business for its employees' hard work and low prices. Millcreek Plumbing has served the Salt Lake City area since 2002. The licensed, bonded, and insured business is family-owned and operated, and provides drain cleaning, leak inspections, leak repair, remodeling, gas pipe services, water heater repair and installation, garbage disposal repair, and toilet repair. The company has received praise for its quality service and friendly, efficient employees. Millcreek Plumbing has an A+ rating from the Better Business Bureau. Murray Plumbing serves residential and commercial customers in Salt Lake City. Founded more than 10 years ago, the family-owned company provides 24-hour emergency services, water heater installations and repair, video pipe inspections, leak repair, pipe replacement, and water line repair. The owners of the licensed and insured company have more than 10 years of experience in the industry. Old School Plumbing is a Salt Lake City plumbing company based in West Valley City. The company's team has more than 20 years of experience in the industry. Old School Plumbing provides water heater replacements, drain cleaning, water softener repair, toilet installation and repair, bathtub installation, leaky faucet repair, water main repair, remodeling, appliance hook-ups, and gas line repairs. The business serves residential and commercial customers, and has received praise for its reasonable prices and flexible schedule. Parley's PPM Plumbing in Salt Lake City has served local customers for more than 40 years. The family-owned business services all plumbing, heating, and AC brands. Parley's PPM Plumbing fixes water leaks, broken faucets, low water pressure, and toilet, sink, and bathtub clogs for residential and commercial customers. The business also repairs and replaces main sewer lines and gives free camera inspections. Customers have left positive feedback for the company's fast service, attention to detail, and friendly attitudes. The owners of Platinum Plumbing Services have more than 20 years of experience in the plumbing industry. 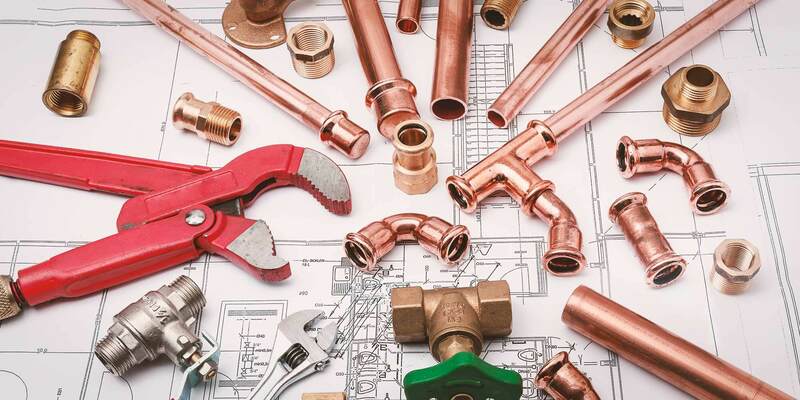 Founded in 2006 in Riverton, the company provides copper repiping, pipe locating, drain cleaning, valve repair, pressure tank installation, drinking fountain repair, and leak detection. The business assists customers with remodeling by upgrading fixtures and making layout modifications. Pond's Plumbing Heating & Air has served the Salt Lake City area with plumbing services for more than 50 years. Pond's provides emergency plumbing repair, drain cleaning, water heater service, water softeners, toilet repair, leak repair, water pressure repair, and faucet repair for residential and commercial customers. The business also installs and services heating and air conditioning systems, and its employees are NATE-certified. Customers have praised the business' employees for their good communication, knowledge of the industry, and flexible schedules. Robert W. Speirs Plumbing has served the Salt Lake City area since 1961. The business, based in Kaysville, provides 24-hour emergency plumbing services and repairs water heaters, cleans drains, repipes, modernizes plumbing, and performs new construction services for residential, commercial, and industrial customers. Robert W. Speirs Plumbing has an A+ rating from the Better Business Bureau and has partnerships with BIG-D Construction, Liberty Homes, Richmond American Homes, and Jorgenson Builders. Rooter Wizard has served the Salt Lake City area for more than 30 years. The business serves homes and businesses and specializes in drain cleaning, sewer line clearing, and emergency plumbing repair services. The company also provides general Salt Lake City plumbing repairs, new fixture installations, water heater repairs, garbage disposal repairs, and water softener repairs. Customers have praised the business for its courteous, professional employees and good communication. The team at Shamrock Plumbing has more than 30 years of experience in the plumbing industry. The company is accredited by the Better Business Bureau and was one of the Top 100 fastest growing companies in Utah for four years in a row. The licensed and bonded business repairs water heaters, water softeners, garbage disposals, toilets, bathtubs, clogged pipes, and sinks. Tingey Plumbing & Heating has served the Salt Lake City area since 1982. The company services water heaters, coolers, water heaters, air conditioning systems, furnaces, gas piping, water lines, drains, and tankless water heaters. The business also has emergency 24-hour service available. Tingey Plumbing & Heating uses Bio-Clean in its plumbing services to reduce harsh chemicals and stay eco-friendly. Customers have praised the company for its honest, kind, and helpful employees.